The president has gotten himself into a bit of trouble. The entire country is waiting to see what former FBI director and current special counsel Robert Mueller has dug up on former mail-order steak salesman and current US president Donald Trump. 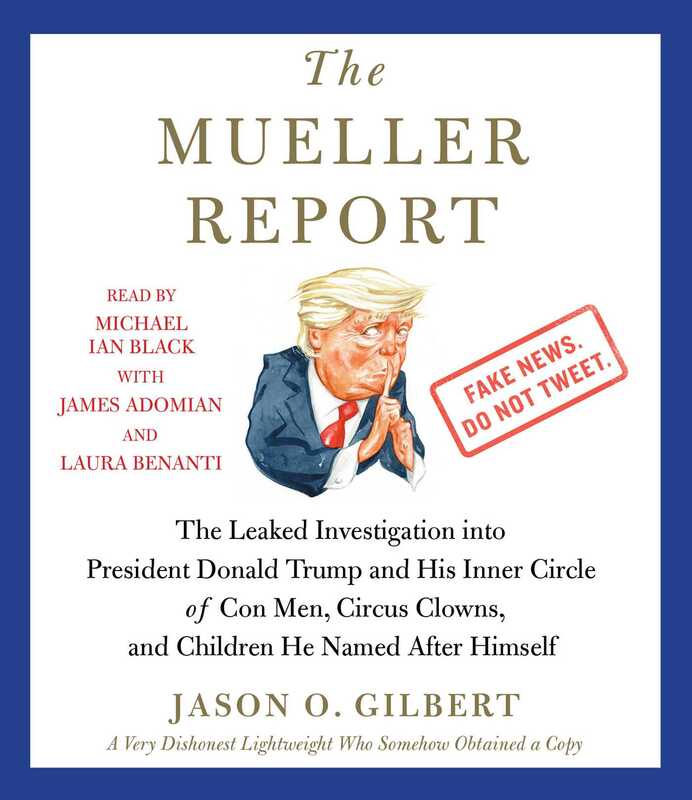 The wait is over—sort of—with the publication of The Mueller Report by Jason O. Gilbert. Leaked by an anonymous and vengeful White House source who goes only by the mysterious code name “Melania T.,” The Mueller Report is a hilarious inventory of the dirt, grime, and Big Mac crumbs that the special counsel has collected on President Trump during his months of investigation. Filled with interview transcripts, intercepted phone calls, incriminating emails, text exchanges, ALL-CAPS TRUMP TWEETS WITH SPELING ERRORS, and more, it whisks readers from the leaky White House to an even leakier Ritz-Carlton hotel room in Moscow, from Donald Trump Jr.’s covert meeting with Russians in Trump Tower to Michael Cohen’s secret sale of a Trump Tower apartment to a shell corporation called Oligarch LLC. And, for the first time, you’ll find out what really happened in that Moscow hotel room between Donald Trump and two well-hydrated Russian escorts. Bring an umbrella! Unlike the Trump presidency, The Mueller Report is so much fun you won’t want it to end. Read it right away, while books are still legal in America!